Now iam study in B.TECH first year “electrical” branch in RITE COLLEGE, BHUBANESWAR. My aim to be an good engineer.Ihave intrested to qualifying the gate exam.How can i prepair it self to qualify this exam?? how much percentage of mark reqired for this exam?? please sir give me a soiution. there fore ishall be grate ful to you. It is really a great decision that you want to start your GATE exam preparation from 1st year of engineering. If you just read 2 hours daily from now and we get a rough idea about your study hours than you have nearly 2000 hours study till GATE exam. Means 200 hours for each subject if there are 10 subjects in your GATE paper. First understand GATE exam nature, syllabus, paper pattern, make some plan etc during this period study mathematics and Aptitude. Than start studying each subject politely you have much time for GATE exam preparation. You may read this blog during your free time. Here we have written so many posts related to GATE/IES/PSUs exam information and preparation. It will surely help you in your preparation. There is no percentage requirement to attend this exam but if you want to use this GATE exam score for M Tech or PSU than you have to score atleast 60% in your B Tech course and as much as possible marks in GATE. First of all you need to decide what you want to do prepare for ? IES or GATE or both IES & GATE ? Remember it is not easy to prepare both exams simultaneously. You have to plan properly for this. Remember it’s not going to be easy. You must have heard about many candidates who prepare for both IES as well as GATE. Surely they succeed. But they really work hard for this. First if you really want to prepare for both then you have to concentrate now totally on GATE. Because it’s just 3 months. But so far you must have completed atleast once the whole technical syllabus of IES from IES objective papers point of view. Because after GATE exam only 4-5 months will remain for IES. In those 4-5 months you have to prepare GS and English as well as all subjects from Subjective papers point of view for IES. This is the strategy which is generally GATE & IES toppers adopt. This is what I can suggest you right now. First do prepare subjects which you feel this would be easy to prepare for you and also important from GATE 2016 exam point of view. 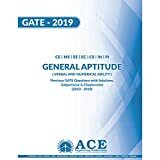 Check below link for GATE previous years papers analysis. It will give you a good idea for your subject preparation. hello sir, i am from EEE branch and i will be appearing for gate 2016. I want to know as in gate exam its hard to tell how much marks will be coming from any particular topic as it is quite unpredictable.So, is it wise to skip a few topics while preparing as i have less time left for exam. if yes, which electrical subjects can i skip this time. please advice.. There is no limit in number of attempt in GATE exam. Its totally depends on your abilities. If you prepare this year for IIT JEE along with your engineering study(most probably) there are less chances that you would get a good rank in IIT JEE exam bcz of your engineering study and college. If any how you get a good rank in IIT JEE then you would get admission in first year of engineering in IIT. So here you would waste your 2 years of life. If you can prepare well for exams like GATE, CAT along with your engineering you can achieve what you want to achieve. Like getting admission into top most colleges of India. Rest final decision depends on you. Is tech-max sufficient for score in gate 2016 EE? We don’t have sufficient info abt this book. You may refer our book list. hello sir, i am a 2012 btech pass out in electrical engineering..i want to prepare for gate exams this year, will this be a good idea and a right time to prepare my GATE after 3 years of my passing. will this year gap be a hurdle in my interviews and future exposures. currently i am 26yrs old and i have no work experience in this year gap…I am feeling very much confident about this,that i can secure good,as during my btech years i had secured 24 and 24.50 marks in my attempts of 2011 and 2012 gate exams,with some light preparations… inpite of being confident i am much confused as the risk factor of age and year gap is much high. .. my mail id – abhifor102@gmail.com. Yes age factor is really really important in your case. So you must first check all the PSUs for which you can apply. or Colleges cut off marks if you want to do M Tech. After checking GATE 2016 Syllabus, paper Pattern, Level of Question form previous years papers and PSUs cut offs / Colleges cut offs. You think you can do it then you must start your preparation for GATE 2016 right now. Sr m in 2nd year want to prepare for gate ..how will i strt nw??? 2nd year of engineering is the best time to start preparation for any exam like GATE, IES etc. First you have to have a book of previous GATE 20-30 years papers with solution so that you can get a good idea about GATE questions. Then atleast one standard book of each subject as you said you are in 2nd year so you can buy books as per your sem subjects so those books not only will be useful to your GATE exam but also for your sem. All books required for GATE exam preparation in Engineering are mentioned in above link. which book is better for gate prepration instead of arihant publication or gk publication………..? Arihant publication would be better in terms of written material & solved questions. And my 2nd question is tips for how to execute this gate with good marks.gate ,whether i have to preapere topics mentioned in the syallabus one by one or go deep nd study everything ..
Actually GATE syllabus is a compact form of what you have studied in your four year of engineering. So there are many topics which are actually a whole chapter. So, while analyzing GATE syllabus analyse precisely. It may disappoint you in GATE 2016 exam if you did any mistake in this work. You can take help of previous years papers in this analysis. Check each question one by one and note don its corresponding chapter and subject or you may buy previous years solved papers topic wise. 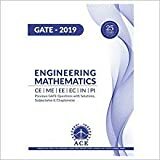 Which are the best books for preparation of gate for electrical engineering. dnt have much time fr gate16 plz suggest which are the main subjects which are asked in ppr. We will provide info related to important topics but it will take some time so you please refer previous papers right now. If you are preparing for GATE then you need atleast one standard book of each subject and one previous years papers book of GATE. Person having BE degree from VTU n M.tech from IIT are also called as IIT engineer r only for people having BE degree from IIT itself..? B Tech from IIT or M Tech from IIT, for this you have to take admission to IIT. So, obviously you are an IITian. Gives m tips about prepairing. Read these posts. These posts will give you an idea about GATE exam and about GATE exam preparation approach.